Invest your trust in Allnet Air. Allnet Air is a leading national mobility management company with clients across the nation. As experts in wireless expense management, we offer efficient mobility services to help organizations minimize their mobile costs and maximize their profits. We’re always prepared to support you with the solutions that you need. Mobility management is growing more pertinent in today’s age. The dependence of wireless technology is now at an all-time-high, especially in business. Today, Allnet helps organizations with 15 to over 2,000 mobile devices. We develop customized plans that are designed to help reduce mobile expenses and optimize mobility usage. The Allnet Optimal Plan is the best wireless plan regardless of your carrier. This is the perfect solution that is compatible with all major wireless providers. As the founder of the nation’s third largest alternative long-distance companies, you can trust our management to provide your company with effective mobile support. At Allnet, we promise an optimal solution with more available data, real-time optimizations, and superior cost savings. Allnet Air is one of the nation’s fastest growing telecom companies. Rely on the expertise of Allnet Air’s versatile support team. Allnet was founded in 1980 by Michael Richer. As an FCC regulated company, Allnet became a public organization in 1983 with the help of Merrill Lynch. By 1987, Allnet was one of the nation’s fastest-growing companies and was purchased by Rochester Telecom. Since then, Allnet Air was founded and has evolved into one of the nation’s leading managed service providers. Allnet Air helps companies of all sizes manage wireless plans and devices. By the age of the internet, Allnet became one of the most recognizable long-distance services within the United States. With the current evolution of wireless telecommunications, Allnet Air has taken reign as the industry’s superior mobile management company. Today, we work tirelessly to provide our customers with an optimized mobility solution that increases available mobile data at lower costs. You need a partner that is able to keep up with the fast-paced technological movement, and our expert personnel are loaded with decades of experience and cutting-edge resources. As an authorized partner of AT&T, we have the bandwidth to support our customers with plenty of functional data capacity. Allnet Air has maintained an unblemished customer retention rate. With 100% customer retention in cities across the nation, you can always count on Allnet Air to deliver a turnkey solution. Contact us at (847) 457-9543 or fill out the request form below to get set with an optimization package for no charge. As an Authorized partner of AT&T, Allnet Air serves customers with optimal wireless solutions to generate greater bottom-line success. Allnet Air has the technology solutions for anything that your office needs. We have the telecom resources to help you manage costs, optimize business strategies, and boost profitability. We are ready to get started with your no-cost optimization. 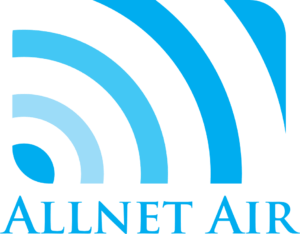 Contact Allnet Air today.